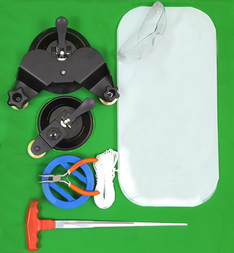 Pulley wheels are mounted to hug the surface of the glass and align the cutting element with the adhesive bead. This design reduces the contact of the cutting element on the inside edge of the pinchweld as it exits the adhesive during the winding process. In turn you get longer working life of your wire or cutting element, reduced chance of contacting a surface of the car and more efficient cutting. Our Apex Corner System provides more versatility to the Glass Bot System. 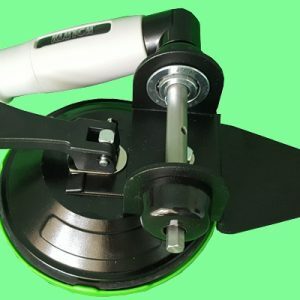 The 5.8″ curved glass suction cup allows for access to tight corners on curved glass which will speed up the cut and leave a smooth, ready-for-bonding surface. NOTE: Set up the APEX so that the forces are distributed across both rollers (see video). 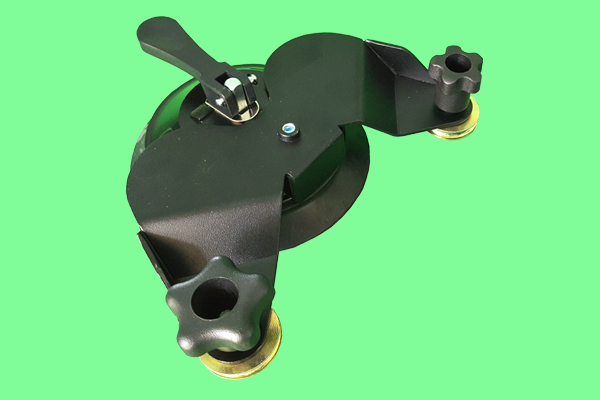 Pulling hard on a single roller will rotate the bracket on the cup and can cause it to come off the glass or damage the APEX. NOTE: Also be aware, this is a curved glass cup with a wide soft skirt, it will buckle and roll under if specifications are exceeded. 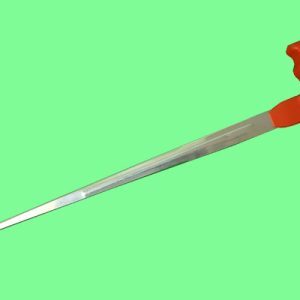 If this occurs, either relocate the APEX to reduce pressure or consider using the “massage” technique, tension cutting element then use your hand to pull on the tensioned element. When it relaxes, tension again and repeat. Faster, safer and easier removals.